Each year, on August 31st, Montessorians worldwide celebrate the birthday of Maria Montessori. Kurious Kitty’s Kurio Kabait http://kuriouskitty.blogspot.com/2012/08/a-happy-birthday-month.html and NAMC’s Celebrating Maria Montessori’s Birthday in the Montessori Classroom http://montessoritraining.blogspot.com/2010/08/celebrating-maria-montessoris-birthday.html are just two websites that acknowledge the importance of this iconoclastic educator’s birthday. Throughout the years, countless school and homeschool Montessorians have written to me and shared their personal Montessori success stories. In the 2007 the AMC Montessori Centenary Newsletter http://www.amonco.org/montessori_centenary.pdf some special Montessorians shared how the Montessori method impacted their lives. Some snippets from this special newsletter are included below. The classroom environment provides the foundation for all the learning that will take place in the school year. A pleasant, comfortable location with good organization, friendly interactions, and caring attention gives children their best chance to grow both personally and academically. Starting a new schoolyear and meeting a new class group can be a challenge for both students and teachers. Get off to a good start with these free tips, activities and lesson plan ideas. It is always important to remind ourselves that children are individuals with their own learning styles and aptitudes. When we work with those natural tendencies and abilities, children flourish and growth is fostered. Get off to a fresh, positive and organized start this year, and here’s to great relationships, great personal growth, and great academic progress! Compass Montessori is a pioneer in Montessori charter education. Here is the latest breaking news from Nathan Drake. “I am excited to be joining Compass Montessori,” said Bill Kottenstette, Compass’s new Executive Director. “Compass has accomplished so much since it was founded in 1997, and is truly delivering on its promise to utilize authentic Montessori methods to nurture the whole child. Now we have the opportunity to lay the professional foundation for the school’s continued growth,” Mr. Kottenstette continued. “Since our charter was approved in 1997, Compass has evolved from a start-up to its current status as a viable, ongoing educational institution, recognized as a leader in Montessori education both nationally and internationally,” said Dan Snair, President of Compass’s board of directors. “For much of that time, our school continued to rely on a traditional educational org chart, in which a “Head of School” is responsible for both pedagogical and organizational matters. An important component of our evolution is our growth from an administrative model supervised by a single head of school to one in which an executive director is responsible for leading the entire school, and principals are focused on the quality of the education we offer our students,” Mr. Snare continued. Compass Montessori is a public charter school with 650 students at two campuses west of Denver, Colorado, near the beautiful Rocky Mountain foothills. Compass is a charter school affiliated with the Jefferson County Public School District. 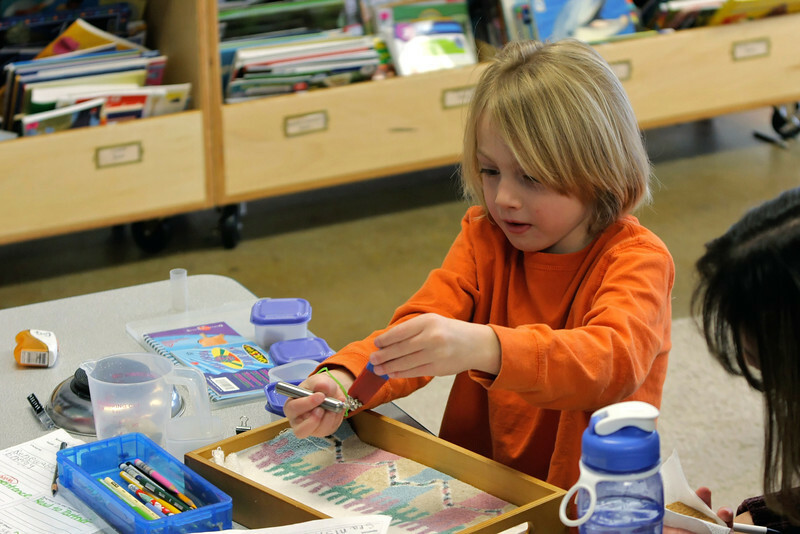 One of Colorado’s first charter schools, Compass was founded in 1997 by parents seeking to provide children with a high quality, authentic Montessori education. Now in its 16th year of operation, Compass is nationally recognized as the only public Montessori charter school in the United States serving students from pre-kindergarten through 12th grade. Montessori education is an educational approach developed by Italian physician and educator Maria Montessori and characterized by an emphasis on independence, freedom within limits, and respect for a child’s natural psychological, physical, and social development. Although a range of practices exists under the name “Montessori”, the Association Montessori Internationale (AMI) and the American Montessori Society (AMS) cite these elements as essential: mixed age classrooms; student choice of activity from within a prescribed range of options; uninterrupted blocks of work time; a “discovery” model, where students learn concepts from working with materials, rather than by direct instruction; specialized educational materials developed by Montessori and her collaborators; freedom of movement within the classroom; a trained Montessori teacher. Compass strives to provide an authentic Montessori education to students from pre-kindergarten through 12th grade. Compass welcomes inquiries from parents of prospective students, from parents and administrators considering starting a Montessori school, and from other Montessori schools facing similar challenges and opportunities. For additional information, please contact Dan Snare at dsnare@jeffco.k12.co.us.